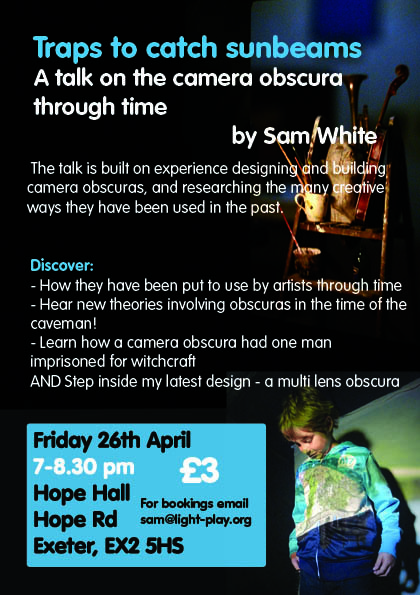 Very pleased to say I will be giving a talk at Hope Hall, Exeter… and you’ll never guess what it is about! I will be sharing much of what I have learnt in my work, with selected images, studies of other contemporary artists using them today as well as historical (and some mythical!) examples. I will also bring my latest camera obscura – even bigger this time, with multiple lenses, proper black out material and inevitably LESS convenient to put up!